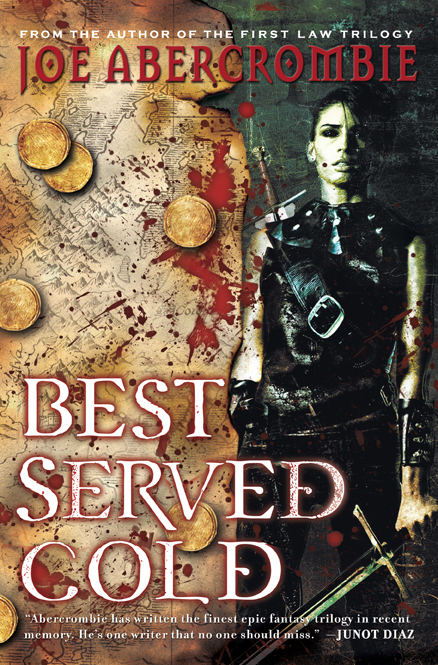 And you thought we couldn’t get any bloodier than Best Served Cold? 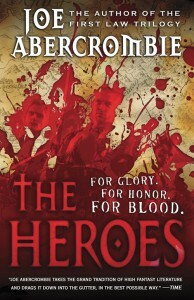 Here to prove you wrong is the cover of The Heroes, by Joe Abercrombie. 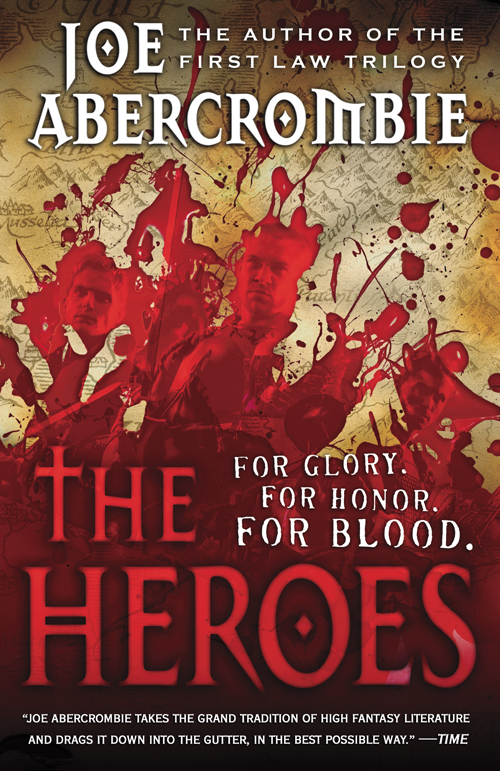 It’s a standalone story, which is great for readers who haven’t read Joe Abercrombie before, but it’s set in the same world as The First Law Trilogy and Best Served Cold, and fans of those books will definitely be recognizing returning characters.